This may be a dead section but I hope someone can help me here. So this bug is about all land units(Vehicles and infantry) are stuck and it's too hard to make them move. Not only that, when this bug happens, fatal error will eventually occur. I don't how this bug happens but this is getting annoying. 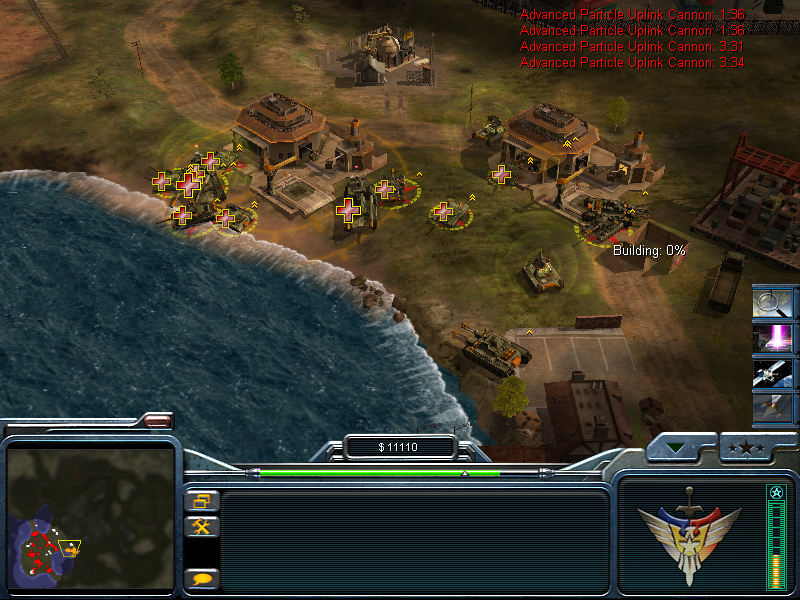 On this screenshot, AI units are stuck on the War Factory because of this bug. So yeah, this bug happens to everyone. I'm currently taking a break on RA2/YR modding since new Ares build hasn't been released yet. When exactly does this bug happen? Is it with factories whose default exit path is going to impassible terrain or close to it and units are being pushed to impassible terrain? Is it happening at seemingly random times while units are moving in a pack or alone? According to the SW/ROTR modders, this "stuck all land units bug" happens when there are too many units that are present on the game. It's the engine's problem just like cxtian39 said and according to the modders again, it'll be never fixed. And that War Factory's placement shouldn't be actually a problem. It's just the bug is acting up that's why the Battlemasters and Overlord remained there. Hopefully we'll be able to fix it in Thyme at some point once we have enough of the game reimplemented. If the code is written from scratch, shoudn't the problem never happen in the first place? Have you read what Thyme's doing... oh wait, comprehension was never your strength. Thyme is doing a step-by-step reverse-engineering, substituting segments of the executable with it's own code. It is quite likely that Thyme ends up to be forced to implement/keep this bug in the first place when it reaches related code segments, to prevent even bigger issues happening within the game and only be able to fix the bug after all the related code segments were properly reversed/recoded.